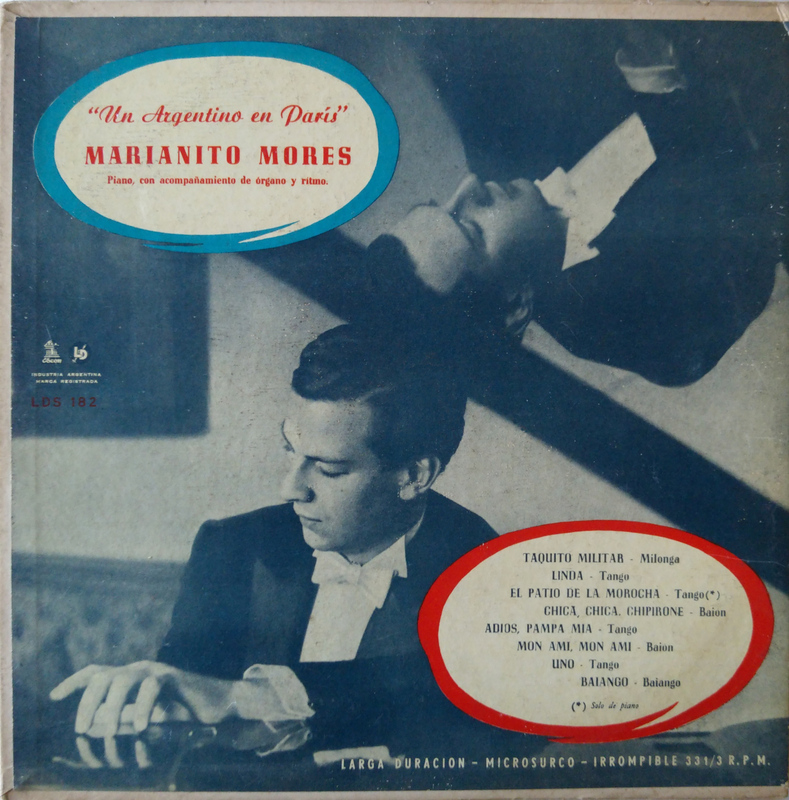 This entry was posted in Music and tagged LDS, Marianito Mores, Mariano Mores, Odeón, Tango vinilo, Tango vinyl, Taquito militar by Jens-Ingo Brodesser. Bookmark the permalink. Jens-Ingo, when was the first vinyl on RCA-Victor? 1954? The first RCA tango vinyls were probably issued in Feb. 1957 with the 7″ AGE-1 Feliciano Brunelli, two tracks per side. Followed by Juan D’Arienzo on AGE-5 (La Cumparsita, La Puñalada, Don Juan, El Pollo Ricardo) same month and year. Then, in March 1957, D’Arienzo AVE-28 (Sentimiento de Calavera, Tucumán, Fatal y Tanguera, La Payanca). The AVE-series was not all tango, AVE-20 is for instance a David Rose and AVE-12 an Eddie Fisher record. Already in March 1957 the AGE-series reached the hundred: AGE-114 is Armando Pontier. It seems that they were massively releasing 7″ vinyls onto the market in these first months of 1957 with the AVE and AGE-series. AVE-22 through AVE-24 were Carlos Di Sarli records: for instance AVE-22 (A La Gran Muñeca, Un Desolado Corazón, Cuidado Con Los 50, Tus Palabras Y La Noche). 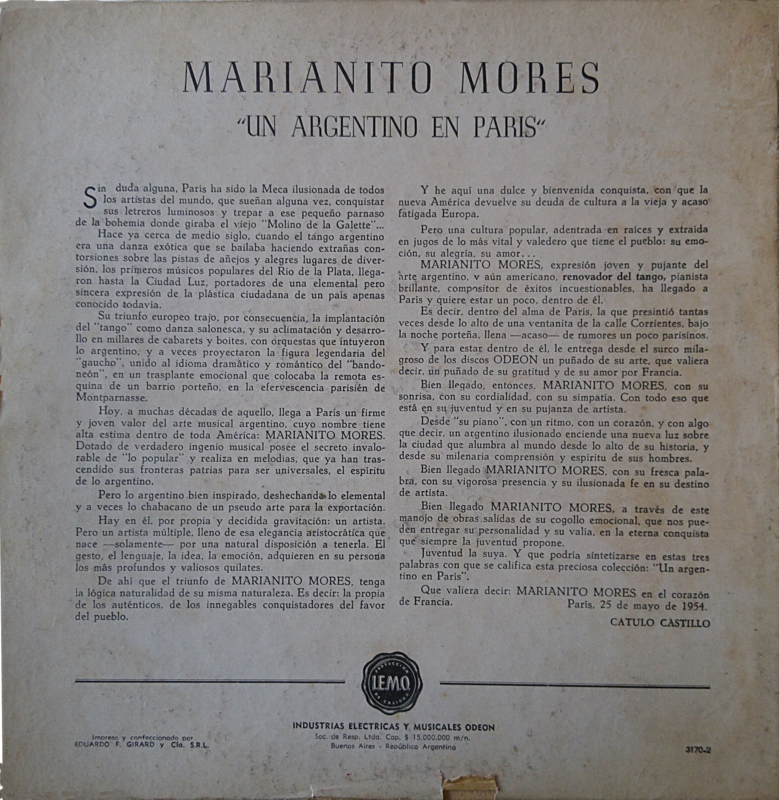 March 1957 marks also the date of their first 10″ issues with for instance AVL-2 which is a non-tango record, AVL-6 a Carlos Di Sarli and AVL-7 which is a Juan D’Arienzo named “Tangos De Todos Los Tiempos” with 2 x 4 tracks. The AVL-series is very much like the Odeón LDS-series a mixed genre collection with tango and other popular music. 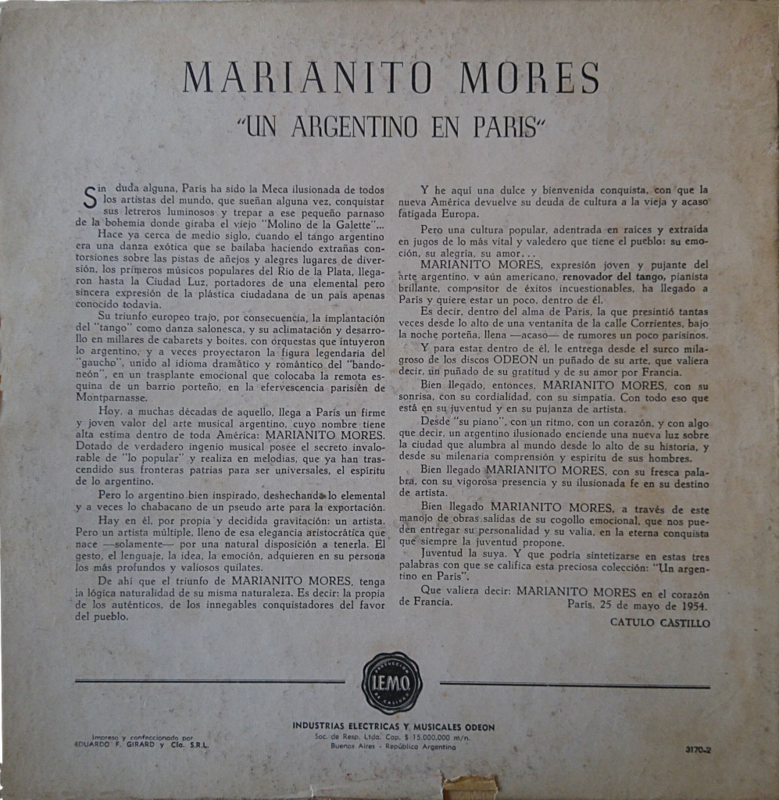 So, according to my current findings, the first Argentine vinyls were issued by Music-Hall in 1952 as genuine first day issues of Carlos Di Sarli in 7″ format, followed by the Odeón 7″ DSOA-series and their 10″ LDS-series. It’s only much later in the second half of the 1950s that RCA Victor started to produce vinyls (since Feb. 1957).